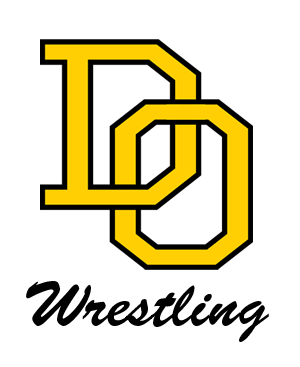 For the past 10 years Coach Maben has coached Football and wrestling at Del Oro High School. Coach Maben’s goals are to inspire student/athletes to make good decisions and to live up to their potential. While attending Del Oro High School Coach Maben was a member of the National Honor Society, a Peer Helper and Del Oro’s last four-year, four-sport athlete. He won and or competed in the CIF section finals in football, wrestling, swimming and track. After leaving Del Oro High School Coach Maben attended the University of California at Davis where he played football and wrestled. Coach Maben played outside linebacker and wrestled in the 190lbs/heavyweight weight classes for the Aggies. In addition to being named to the athletic honor roll Coach Maben was a Peer Helper in Athletics. After graduation the black and gold blood that pumps through his veins drew him back to Golden Eagle stadium where he coaches on the Freshman Football team and on the Boys wrestling team. 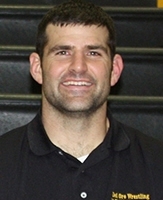 In 2010 Coach Maben started the school’s first Girls Wrestling team. What started with 12 girls wrestling in a classroom has grown to become the state’s biggest girls wrestling team with over 40 girls. In 2015 the Girls wrestling team, won the Sac Joaquin Masters Tournament and was ranked in the top 20 in the country.